We are changing the content management system (CMS) that is used to update www.bath.ac.uk. This is a significant development in the University of Bath’s efforts to deliver world-class digital communications. The new CMS is currently at prototype stage and will go live in early 2015. Groups across the University depend on our website in some measure for engagement, marketing or delivery of services. As a result, they also depend on the CMS being fit for purpose. There are around 13,000 HTML files managed through the bath.ac.uk CMS. These have been produced by the 325 members of University staff who have a CMS account. Over 50% of these publishers have used the CMS in the past 6 months. Of the ‘active’ users, around 25 make use of the CMS on a daily basis. The Digital team follows trends in digital publishing and, based on the example of other large institution websites, it's clear that we should be getting more from our CMS. More importantly, our publishers - both regular and irregular - have told us through their support requests and in person that they are frustrated by the limitations of the current CMS. We want to make our website more interesting and useful, and to help us do that we need to make publishing to that website quicker and easier. By making the CMS less onerous to use, publishers will have more time to concentrate on quality creation and curation of content. An obvious question is, which CMS will we use? But the more important question is, what do we need the CMS to do? What features will it have? direct access to content performance data to inform editorial decision-making about what to publish and when. These ‘starting features’ and those that follow on from them will be sequenced on a CMS product backlog (a webpage containing prioritised cards on which each feature is represented). Publishers will be able to subscribe to the board and keep track of the progress of feature developments they are particularly interested in. Setting up a new CMS and transitioning all our publishers and content across to is a complex undertaking. So we have to start small-scale and develop the capabilities of the CMS on an iterative basis. It all starts with an alpha phase. The objective of the alpha exercise is to build a working prototype of the CMS. This will be used to test our approach and help us understand what it will take to deliver the CMS on the scale that’s needed to support our entire university website. 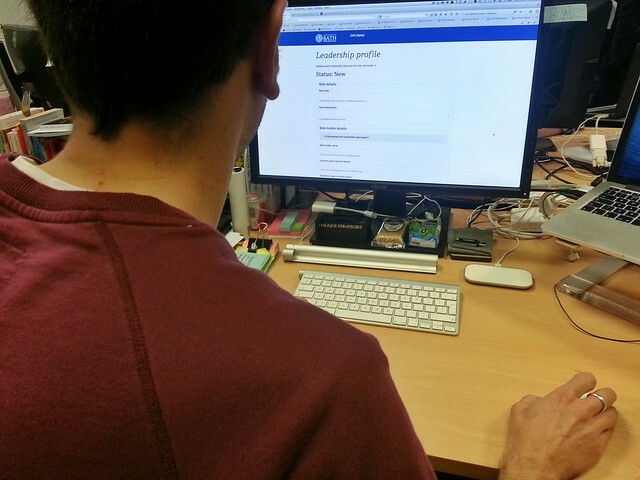 The development of the CMS alpha is underway. In November 2014 we will start using it to manage the content in bath.ac.uk/about. In January 2015 we will report on the results. Between then and now, we will be running regular demos and user research workshops with publishers around the University (details of which will follow). From February 2015 we will take the learning from the alpha and begin rolling out a beta phase of the new CMS and the process of moving our publishing activity to this new platform. It will take a significant effort but the rewards will be worth it. Let us be clear, better digital publishing will not be achieved by changing our software alone. Nevertheless, a simplified application will make publishing and editing quicker, help improve content quality and make our site more useful and engaging for the millions of people who use it each year.